Special Events ~ Bridal Parties and Bachelorettes. A 50% Deposit is required to hold your party time. 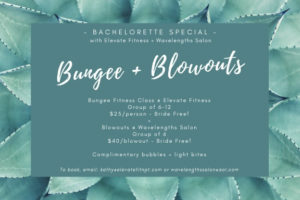 Bungee Fitness Class with Champagne Toast (5 or More) – $25.00 per person (less than 5 – $30.00) Bride comes Free! 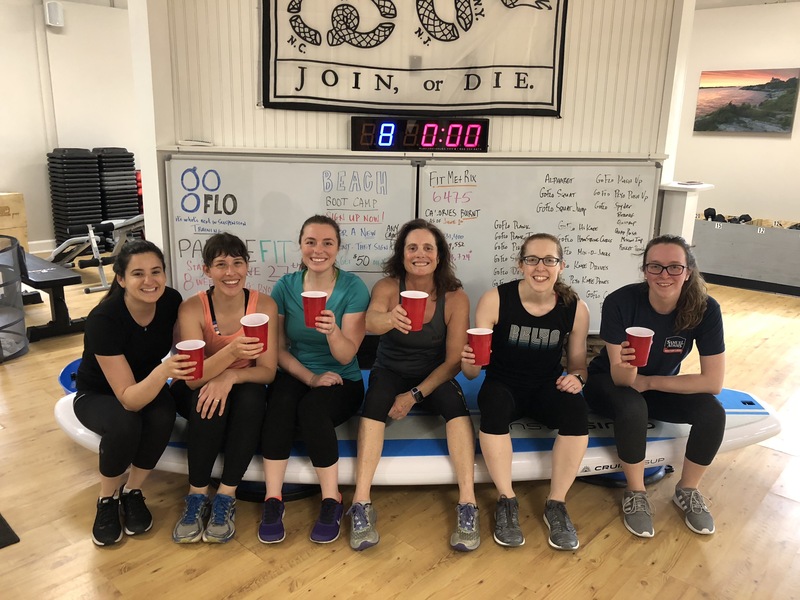 Aerial Yoga with Champagne Toast (limit 10) – $30.00 per person – Bride comes Free! with Champagne Toast (5 or More) – $25.00 per person (can fit up to 18) (less than 5 – $30.00) Bride comes Free!